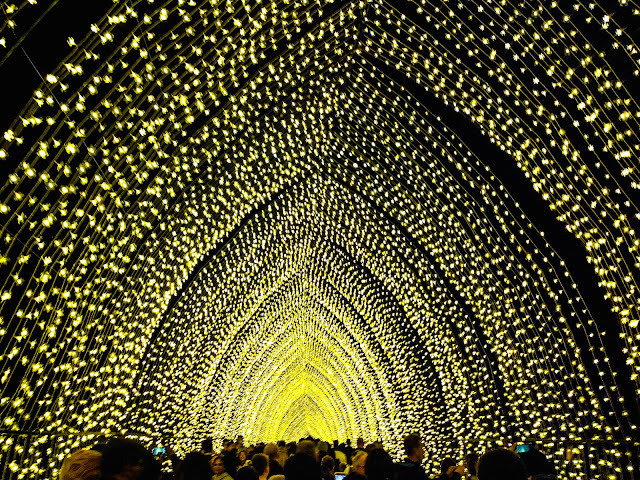 This beautiful and interactive installation was displayed at Circular Quay during Sydney Vivid - the annual festival of Lights and Sound. 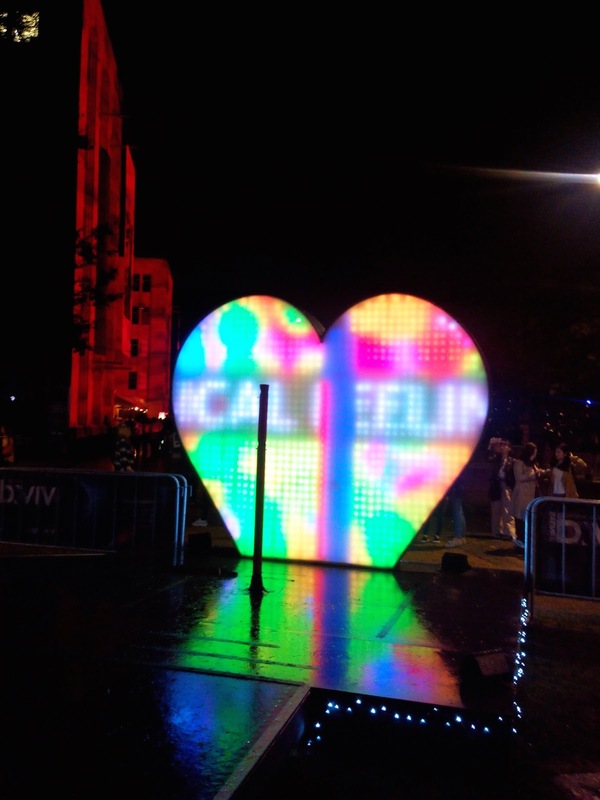 The visitors would stand in the center, scream "I love you" and the background behind would lit up in different colors. The louder you scream, the brighter the colors. Among numerous other structures, this was one of my favorite interactive displays. That's very cool! Would love to see it in person. What an interesting way to say I love you... wow splendid!!! Ah Vivid. I'm always torn with that after being there the last couple of years. I love the lights but I hate the crowds! How interesting. Would like to see this for real. Vivid is an apt name. Wow! this is so neat; I would have loved to yell in front of it too!! So pretty and colourful! My kids would love to do the screaming part! What a cute idea. Did it light up bright when you screamed? That is so cool! Would be so much fun to see this in person and in action! Such a lovely place and how well you have caught it.